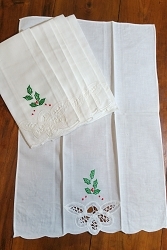 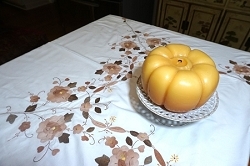 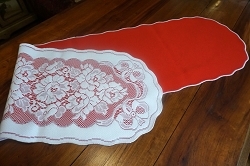 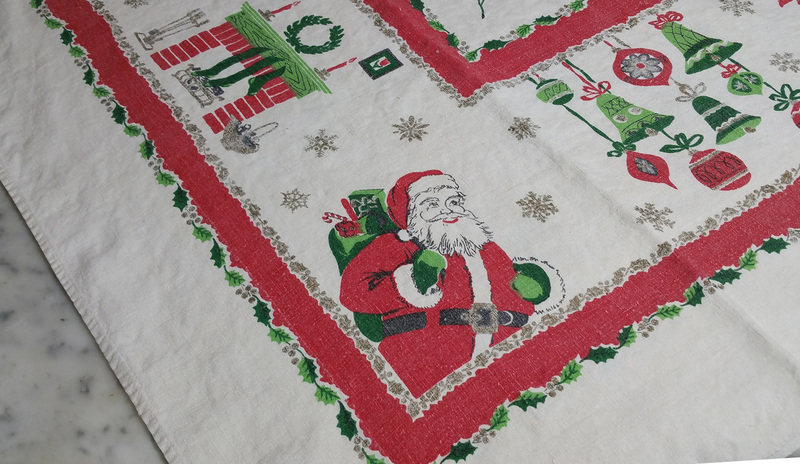 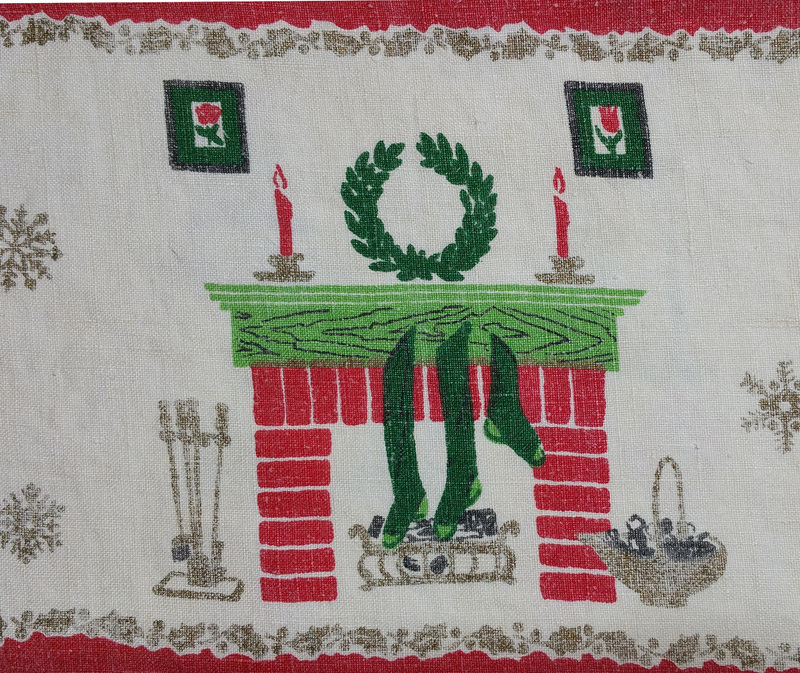 Don't you just love the colors in this vintage 1950's linen Christmas tablecloth? 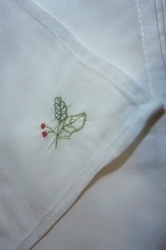 Brilliant red, 2 nice shades of green and accented with silver. 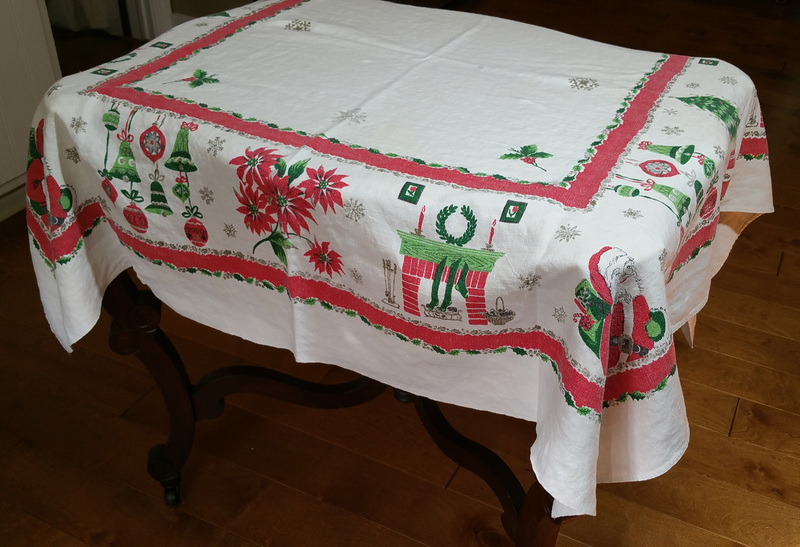 Whether it's Christmas dinner for a small family or to set up a drink bar at a larger party, this 48x48 tablecloth will set the most cheery mood for your gathering!